August 1916 - 300 agricultural and business leader attended Eastern States Agricultural and Industrial Exposition, in Springfield, MA, to work on general advancement of activities for boys and girls; formed several committees to raise funds for implementing solutions (Boys’ and Girls’ Bureau, headed by Theodore N. Vail, president of AT&T); 1919 - 22 committee members raised $250,000; hired Mr. O. H. Benson (previously worked to establish 4-H clubs in Ohio); February 27, 1920 - name changed to Junior Achievement Bureau; October 1920 - Horace A. Moses, president of Strathmore Paper Company, became chairman (co-Founder of Junior Achievement); pledged money, built Achievement Hall (Springfield, MA) to serve as central institution for all Achievement Club activities in Northeastern states; 1925 - opened headquarters building in Springfield, MA; world’s largest organization dedicated to educating students about workforce readiness, entrepreneurship and financial literacy through experiential, hands-on programs. 1970 -16 business school entrepreneurship programs. 2000 - 1,500 universities/colleges offered entrepreneurship courses. (Alexander & Company), Theodore Martin Alexander, Sr. (1993). Beyond the Timberline The Trials and Triumphs of a Black Entrepreneur. (Edgewood, MD: E.E. Duncan and Company, 269 p.). Alexander, Theodore Martin, Sr.; Alexander & Company--History. Entrepreneurship. (Artists' Frame Service Inc.), Jay Goltz with Jody Oesterreicher (1998). The Street-Smart Entrepreneur: 133 Tough Lessons I Learned the Hard Way. (Omaha, NE: Addicus Books, 235 p.). Management; Success in business. (Avis), Warren Avis (1986). Take a Chance To Be First: The Secrets of Entrepreneurial Success. (New York, NY: Macmillan, 222 p.). Founder, Avis-Rent-A-Car. Avis-Rent-A-Car System; Success in business. (Banner Blue Software), Kenneth L. Hess (2001). Bootstrap: Lessons Learned Building a Successful Company from Scratch. (Carmel, CA: S-Curve Press, 301 p.). Founder and President (Banner Blue Software). Hess, Kenneth L.; Banner Blue Software; start-up; entrepreneurship. (Bata Shoe Organization), Anthony Cekota (1968). Entrepreneur Extraordinary: The Biography of Tomas Bata. (Rome, IT: Eizioni Internazionali Sociali, 383 p.). Bata, Tomás, 1876-1932; Businessmen -- Czechoslovakia -- Biography. (Claris Corp.), Randy Komisar (2000). The Monk and the Riddle: The Education of a Silicon Valley Entrepreneur. (Cambridge, MA: Harvard Business School Press, 181 p.). Co-founder of Claris Corp., CEO of Lucas Arts and Entertainment, CEO of Crystal Dynamics. Komisar, Randy, 1954- ; Businesspeople--United States--Biography; Entrepreneurship--United States--Biography. (ClickAgents), Gurbaksh Chahal (2008). The Dream: How I Learned the Risks and Rewards of Entrepreneurship and Made Millions. (New York, NY: Palgrave Macmillan, 256 p.). Success in business; Entrepreneurship; Internet advertising; Market segmentation. How 16-year-old immigrant overcame discrimination, adversity to fulfill highest ambitions; Internet business entrepreneur and self-made multi-millionaire; created, built, sold two companies for more than $340 million (by age 25). (Comcate Inc.), Ben Casnocha; foreword by Marc Benioff (2007). My Start-Up Life: What a (Very) Young CEO Learned on His Journey through Silicon Valley. (San Francisco, CA: Jossey-Bass, 208 p.). Founder, Comcate. Comcate (Firm); Internet software industry--United States; Computer software industry--United States; New business enterprises--United States--Management; Entrepreneurship--United States. Story of his start-up (better way for city governments to communicate with constituents on Web), conversation with mentors, clients, fellow entrepreneurs about how to make a business idea work. (Comfort Keepers), Jerry L. Clum (2005). Zero to $100 Million in Five Years! (New York, NY: Hudson Books, 324 p.). President, Co-Founder of Comfort Keepers; 2004 Ernst & Young Entrepreneur of the Year Award Winner (Southern Ohio). Healthcare; assisted living; entrepreneurship. (C&S Mystery Shoppers Inc.), Mark D. Csordos (2002). Business Lessons for Entrepreneurs: 35 Things I Learned Before The Age of Thirty. (South-Western Educational Pub., 176 p.). Founder, C&S Mystery Shoppers. Entrepreneurship. 1995 - launched business with only $2,500, zero business experience; 199 - sold business; realities of entrepreneurship: people will lie to you, love your family but don’t work with them, power of goal setting, charge what you’re worth, other key topics. (Custom Shop Shirtmakers), Mortimer Levitt (1988). How To Start Your Own Business without Losing Your Shirt: Secrets of Seventeen Successful Entrepreneurs. (New York, NY: Atheneum, 213 p.). Founder - Custom Shop Shirtmakers. New business enterprises--Case studies; Entrepreneurship--Case studies. (DDI Corporation), Kazuo Inamori (1995). A Passion for Success: Practical, Inspirational, and Spiritual Insight from Japan's Leading Entrepreneur. (New York, NY: McGraw-Hill, 169 p.). Founder, DDI Corporation (second largest telephone company in Japan). Executives--Conduct of life; Businesspeople--Conduct of life; Industrial management. (Dennis Publishing), Felix Dennis (2008). How To Get Rich: One of the World’s Greatest Entrepreneurs Shares His Success Wisdom. (New York, NY: Portfolio, 291 p.). Chairman of Dennis Publishing, Founder of Maxim (one of most successful new magazines of last decade). Success in business; Entrepreneurship; Wealth. College dropout with no family money, now 65th richest person in U.K.; help readers embrace entrepreneurship, learn from his successes, failures. (Developers Diversified Realty Corporation), Bert L. Wolstein; written with Adam Synder (2005). Crossing the Road to Entrepreneurship. (Solon, OH: Heritage Development Company, 270 p.). Wolstein, Bert L.; Developers Diversified Realty Corporation; Commercial real estate. (Direct Response Marketing), Anita F. Brattina (1996). Diary of a Small Business Owner: A Personal Account of How I Built a Profitable Business. (New York, NY: AMACOM, 239 p.). New business enterprises--Case studies; Small business--Management--Case studies; Entrepreneurship--Case studies. (Dogfish Head Craft Brewery), Sam Calagione (2005). Brewing Up a Business: Adventures in Entrepreneurship from the Founder of Dogfish Head Craft Brewery. (Hoboken, NJ: Wiley, 256 p.). Founder. Dogfish Head Craft Brewery; Microbreweries--Delaware; Entrepreneurship--Delaware; Small business--Delaware. (Eller Company), Karl Eller (2005). Integrity Is All You've Got: And Seven Other Critical Lessons of the Entrepreneurial Life. (New York, NY: McGraw-Hill, 224 p.). Conceived Idea of Outdoor Advertising. Entrepreneurship; Success in business; New business enterprises; Businesspeople--Attitudes. (Endius Inc.), Tim Taylor (2003). Launch Fever: An Entrepreneur s Journey into the Secrets of Launching Rockets, a New Business and Living a Happier Life. (Omaha, NE: iUniverse, 230 p.). Co-Founder - Endius, Inc. Taylor, Tim; Entrepreneurship. (Gendis Inc.), Albert D. Cohen (1985). The Entrepreneurs: The Story of Gendis Inc. (Toronto, ON: McClelland and Stewart, 220 p.). Gendis Inc.--History; Electronic industries--Canada--History. (GO Corporation), Jerry Kaplan (1995). Startup: A Silicon Valley Adventure. (Boston, MA: Houghton Mifflin, 322 p.). Founder of OnSale. Kaplan, Jerry; GO Corporation--History; Computer industry--California--Santa Clara County; Entrepreneurship--United States--Case studies; Pen-based computers--History. Keyboardless-computer? Not yet. (Hartwell Pacific), Stephen H. Greer (2010). Starting from Scrap: An Entrepreneurial Success Story. (Springfield, NJ: Burford Books, 256 p.). Senior Advisor to Oaktree Capital, Former CEO of Asia for Smorgon Steel Group Limited. Greer, Stephen H., 1968-; Hartwell Pacific (Firm); Scrap metal industry --China --Hong Kong. 1993 - arrived in Hong Kong as recent college grad with no financing, scant experience, notion of starting some kind of business; 2005 - acquired by Smorgon Steel Group Limited (Australia); 2007 - $250-million enterprise, player in global scrap-metal recycling trade. (Interactive Solutions), Jay Myers and Darren Dahl (2007). Keep Swinging: An Entrepreneur's Story of Overcoming Adversity & Achieving Small Business Success. (New York, NY: Morgan James Publishing, 157 p.). Founder of Interactive Solutions, Inc. in Memphis, TN. Myers, Jay; Interactive Solutions, Inc. Tapped into demand for high-tech video conferencing, communication equipment; cash flow problems, partnership divorce, embezzling employee; made INC 500- INC magazine's list of America's fastest growing private companies-twice. (Jacobs Engineering Group), Joseph J. Jacobs (1991). The Anatomy of an Entrepreneur: Family, Culture, and Ethics. (San Francisco, CA: ICS Press, 274 p.). 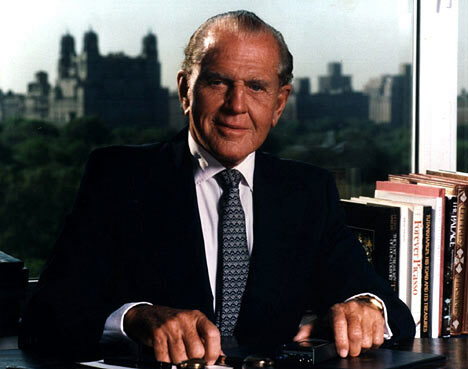 Jacobs, Joseph J.; Businesspeople--United States--Biography; Entrepreneurship--United States. (Junior Achievement), Joe Francomano and Wayne & Darryl Lavitt (1988). Junior Achievement, A History: A Personal Account of Managing Change from Drill Press to Computer. (Colorado Springs, CO: JA Worldwide, p.). Past President of JA. Junior Achievement. History of Junior Achievement Inc. from beginnings in 1916 to 1980s. (karaokenation.com), Steve Fishman (2003). Karaoke Nation, or, How I Spent a Year in Search of Glamour, Fulfillment, and a Million Dollars. (New York, NY: Free Press, 304 p.). Fishman, Steve, 1955- ; New business enterprises--United States; Internet marketing--United States; Entrepreneurship--United States. (Kenwood Electronics and Mikasa), Naomi Hirahara, with an introduction by Daniel I. Okimoto (2001). An American Son: The Story of George Aratani: Founder of Mikasa and Kenwood. (Los Angeles, CA: Japanese American National Museum, 321 p.). Aratani, George, 1917- ; Mikasa; Kenwood Corporation; Businessmen--United States--Biography. (Kilcullen Kapital Partners), Enda O'Coineen (2005). The Unsinkable Entrepreneur. (Douglas Village, Cork, IR: Mercier Press, 287 p.). O'Coineen, Enda Pádraig Businessmen--Ireland--Biography; Entrepreneurship. (Kim), Carter J. Eckert (1991). Offspring of Empire: The Koch’ang Kims and the Colonial Origins of Korean Capitalism, 1876-1945. (Seattle, WA: University of Washington Press, 388 p.). Kim Yon-su; Kyongsong Spinning Company; Samyang Company. Kim family; Businesspeople--Korea--History; Industrial policy--Korea--History; Capitalism--Korea--History; Korea--Dependency on Japan--History. (Ladies Who Launch), ictoria Colligan and Beth Schoenfeldt (2007). Ladies Who Launch: Embracing Entrepreneurship & Creativity as a Lifestyle. ( New York, NY: St. Martin’s Press, 228 p.). New business enterprises; Entrepreneurship; Businesswomen; Success in business. 4-step incubator process:1) Imagine it – allow a secret desire to come to light, 2) Speak it – choose dream to pursue, 3) Do it – take effective action to make it reality, 4) Celebrate it – revel in successes, reward effort, be good to yourself along the way. (LinkedIn), Judith Hurwitz (2011). Smart or Lucky: How Technology Leaders Turn Chance into Success. (San Francisco, CA: Jossey-Bass, 240 p.). Former LinkedIn employee, President and CEO of Hurwitz & Associates. Entrepreneurship; Businesspeople; High technology industries; Technological innovations; Success in business; Sustainable development. How to recognize lucky break, have foresight to take advantage of it; most successful technology entrepreneurs understand value of combination of luck and smarts, make it work for them; those who fail may be lucky but get complacent, believe they’re smartest players in market, fail to make changes needed to sustain leadership; LinkedIn: 1) shifted focus quickly to infrastructure, relationships, planning; 2) drew up, followed roadmap; 3) stuck with its target market. Love Chrysler, Inc.), Marion Luna Brem (2004). Women Make the Best Salesmen: Isn't It Time You Started Using Their Secrets? (New York, NY: Currency/Doubleday, 225 p.). President, CEO of Corpus Christi Auto Dealership Founded in 1989 (Love Chrysler, Inc.); Holder of the "Avon Women of Enterprise" and the "Inc. Magazine Entrepreneur of the Year" Awards; One of (40) the "Leading Women Entrepreneurs of the World" for 2001; One of Hispanic Business Magazine's "100 Most Influential Hispanics in the United States"; inducted into the International Automotive Hall of Fame. Selling; Women sales personnel. (Neoforma), Wayne McVicker (2005). Starting Something: An Entrepreneur’s Tale of Control, Confrontation & Corporate Culture. (Los Altos, CA: Ravel Media, 409 p.). Co-Founder, Board Member, President (Neoforma). McVicker, Wayne; Neoforma (Firm); Corporate culture--United States; Entrepreneurship--United States--Case studies; Businessmen--United States--Biography. 16th most successful IPO in history. (Noah's Bagels), Noah Alper, Thomas Fields-Meyer (2009). Business Mensch: Timeless Wisdom for Today's Entrepreneur. (Berkeley, CA, Book Clearing House, 176 p.). Founder of Noah's Bagels. Alper, Noah; Entrepreneurship --California --History. Started small bagel shop in Berkeley, CA (after early nervous breakdown, failed business), run on Biblical injunction to "lech lecha"-to embrace one's journey while contributing to community through volunteerism and "tzedakah"-justice; ability to innovate, adapt, and evolve; acquired by Einstein Bros. for $100 million. (Ovation), Peter Bieler with Suzanne Costas (1996). "This Business Has Legs": How I Used Infomercial Marketing To Create the $100,000,000 Thighmaster Craze Exerciser: An Entrepreneurial Adventure Story. (New York, NY: Wiley, 206 p.). Television advertising--United States--Case studies; Infomercials--United States--Case studies; Exercise--Equipment and supplies--Marketing--Case studies. (Jim Pattison Group), Russell Kelly (1986). Pattison: Portrait of a Capitalist Superstar. (Vancouver, BC, New Star Books, 263 p.). Former Editor and Reporter for the CBC. Pattison, Jim; Jim Pattison Group, entrepreneurship. Pattison's rise to financial power - from selling magazines on street corners to chairmanship of Expo 86; conglomerate empire includes many companies throughout North America, most based in British Columbia; gained control of Neon Products, enlarged conglomerate (1984 revenues of $1,022,985,000). (Jim Pattison Group), Jimmy Pattison with Paul Grescoe (1987). Jimmy: An Autobiography. (Toronto, ON, Seal Books, 300 p.). Entrepreneur. Pattison, Jim; Jim Pattison Group, entrepreneurship. (Planet Tan), Tony Hartl (2011). Selling Sunshine: 75 Tips, Tools, and Tactics for Becoming a Wildly Successful Entrepreneur. (Austin, TX: Greenleaf Book Group Press, 232 p.). Founded Planet Tan in 1995. Planet Tan Corporation; Hartle, Tony; entrepreneurship. Creating, maintaining, growing meaningful business with fulfilling company culture; overcame obstacles of poverty, homeowner in his teens, put himself through college, founded, ran Planet Tan Corporation, net worth from $10,000 to $millions in 13-years. (Platinum Concepts Inc.), John Lusk and Kyle Harrison (2002). The MouseDriver Chronicles: The True-Life Adventures of Two First-Time Entrepreneurs. (Cambridge, MA: Perseus Publishing, 257 p.). Platinum Concepts, Inc.--History; Entrepreneurship--United States--Case studies; New business enterprises--United States--Case studies. (Remington), Victor Kiam (1986). Going for It! : How To Succeed as an Entrepreneur. (New York, NY: Morrow, 260 p.). Kiam, Victor; Businessmen--United States--Biography; Entrepreneurship--Biography; Success in business--United States. Bought Remington shavers. --- (1989). Live to Win: Achieving Success in Life and Business. (New York, NY: Harper & Row, 258 p.). Success in business; Creative ability in business; Success. (Rollins Jamaica Ltd.), Drury Pifer (2001). Hanging the Moon: The Rollins Rise to Riches. (Newark, DE: University of Delaware Press, 267 p.). Rollins, John W.; Businessmen -- United States -- Biography; Entrepreneurship -- Biography. (Shibusawa Warehouse Department), Teruko Craig (1994). The Autobiography of Shibusawa Eiichi: From Peasant to Entrepreneur: Translated, with an Introduction and Notes. (Tokyo, Japan: University of Tokyo Press, 192 p.). Shibusawa, Eiichi, 1840-1931; Capitalists and financiers--Japan--Biography. (Sh¯owa B¯oeki Kabushiki Kaisha), Akira Sueno; translated by Neal Donner (1977). Entrepreneur and Gentleman: A Case History of a Japanese Company. (Rutland, VT: C. E. Tuttle Co., 249 p.). Sueno, Akira, 1913- ; Sh¯owa B¯oeki Kabushiki Kaisha; Industrial management -- Japan -- Case studies; Business enterprises -- Japan -- Case studies. (Smith & Hawken), Paul Hawken (1987). Growing a Business. (New York, NY: Simon and Schuster, 251 p.). New business enterprises--Management. (StartupNation), Jeff Sloan and Rich Sloan (2005). StartupNation: America’s Leading Entrepreneurial Experts Reveal the Secrets to Building a Blockbuster Business. (New York, NY: Currency Doubleday, 286 p.). Co-founders of multimedia company StartupNation. New business enterprises--United States; Entrepreneurship--United States. Every aspect of smart entrepreneurship. (Telegroup), Fred Gratzon (2003). The Lazy Way to Success: How To Do Nothing and Accomplish Everything. (Fairfield, IA: Soma Press, 215 p.). Founder - The Great Midwestern Ice Cream Company; Telegroup. Entrepreneurship; success in business. (Tripod), Bo Peabody (2005). Lucky or Smart? : Secrets to an Entrepreneurial Life. (New York, NY: Random House, 80 p.). Serial Entrepreneur. Entrepreneurship; Corporate culture; Mission statements; New business enterprises; Success in business. (Virgin Group), Richard Branson (2008). Business Stripped Bare: Adventures of a Global Entrepreneur (London, UK: Virgin Books, 342 p.). Branson, Richard; Virgin Group; Entrepreneurship; Success in business. Achievements over forty years in business, lessons learned from setbacks; why he took on one of world’s biggest superbrands, how he built Virgin Mobile USA into fastest growing company in history to reach billion dollars in revenue; only person in world to have built $7 billion dollar companies from scratch in 7 completely different sectors; what learned about business from diverse group of leaders; thoughts on changing face of global economy. Zoltan J. Acs, Catherine Armington (2006). Entrepreneurship, Geography, and American Economic Growth. (New York, NY: Cambridge University Press, 262 p.). Doris and Robert McCurdy Distinguished Professor of Entrepreneurship and Innovation in the Robert G. Merrick School of Business (University of Baltimore); Catherine Armington is a Research Fellow in the U.S. Bureau of the Census. Entrepreneurship--United States; New business enterprises--United States; Industrial location--United States; United States--Economic conditions. New firm formation rates in regional economies during 1990s period and beyond. Terry Allen (2001). No Cash, No Fear: Entrepreneurial Secrets To Starting Any Business with No Money. (New York, NY: Wiley, 286 p.). Partner (Chicago Venture Partners, LP). Allen, Terry F.; Entrepreneurship; New business enterprises--Finance; Small business--Finance. Tom Ashbrook (2000). The Leap: A Memoir of Love and Madness in the Internet Gold Rush. (Boston, MA: Houghton Mifflin, 295 p.). Boston Globe Reporter. Ashbrook, Tom; Internet industry--United States; New business enterprises--United States; Businessmen--United States--Biography. David B. Audretsch, Max C. Keilbach, Erik E. Lehmann (2006). Entrepreneurship and Economic Growth. (New York, NY: Oxford University Press, 240 p.). Ameritech Chair of Economic Development, Institute of Development Strategies (Indiana University); Senior Research Fellow (Max Planck Institute of Economics); Professor, University of Augsburg. Entrepreneurship; Creative ability in business; Small business--Technological innovations; Technological innovations--Economic aspects; Diffusion of innovations--Economic aspects; Economic development. Why entrepreneurship has emerged as bona fide instrument of growth policy. Isadore Barmash (2003). The Self-Made Man: Success and Stress-American Style. (Washington, DC: Beard Books, 367 p. [orig. pub. 1969]). Success in business--Case studies. Robert C. Baron (2004). Pioneers and Plodders: The American Entrepreneurial Spirit. (Golden, CO: Fulcrum Pub., 346 p.). Publisher of Fulcrum Publishing. Entrepreneurship--United States--History; Business enterprises--United States--History; Businesspeople--United States. Hector Barreto (2007). The Engine of America: The Keys to Small Business Success from Entrepreneurs Who Have Made It! (Hoboken, NJ: Wiley, 223 p.). Former Administrator of the Small Business Administration. Small business--United States--Management; Small business--United States--Finance; New business enterprises--United States; Entrepreneurship--United States; Success in business--United States. Winning business strategies of CEOs from 50 companies, large and small, who share their wisdom for entrepreneurs and small business owners, in addition to drawing on the author's own experience. Holly E. Bastow-Shoop, Brenda L. Ekstrom and F. Larry Leistritz (1990). Business Development in Rural Areas: A Selected Annotated Bibliography. (Fargo, ND: North Dakota State University, Agricultural Experiment Station, 77 p.). Rural development--Bibliography; Entrepreneurship--Bibliography; Small business--Bibliography. John Benson (1983). The Penny Capitalists: A Study of Nineteenth-Century Working-Class Entrepreneurs. (New Brunswick, NJ: Rutgers University Press, 172 p.). Working class--Great Britain--History--19th century; Businesspeople--Great Britain--History--19th century; Small business--Great Britain--History--19th century; Informal sector (Economics)--Great Britain--History--19th century. Amar V. Bhide (2000). The Origin and Evolution of New Businesses. (New York, NY: Oxford University Press, 412 p.). Lawrence D. Glaubinger Professor of Business, Columbia University Graduate School of Business. New business enterprises; Entrepreneurship. Sérgio de Oliveira Birchal (1999). Entrepreneurship in Nineteenth-Century Brazil: The Formation of a Business Environment. (New York, NY: St. Martin's Press, 233 p.). Former Lecturer in Economics and Business at Catholic University of Minas Gerais. Entrepreneurship--Brazil--Minas Gerais--History--19th century; Industries--Brazil--Minas Gerais--History--19th century; Minas Gerais (Brazil)--Economic conditions. Bill Bolton and John Thompson (2004). Entrepreneurs: Talent, Temperament, Technique. (Boston, MA: Elsevier Butterworth-Heinemann, 384 p.[2nd ed.]). Entrepreneurship; Businesspeople; Success in business. Brent Bowers (2006). If at First You Don't Succeed...The Eight Patterns of Highly Effective Entrepreneurs. (New York, NY: Currency/Doubleday, 240 p.). Small Business Editor (New York Times). Entrepreneurship; Entrepreneurship -- Biography; Entrepreneurship-traits. Key traits that successful entrepreneurs have in common. Wayne G. Broehl, Jr. (1978). The Village Entrepreneur: Change Agents in India's Rural Development. (Cambridge, MA: Harvard University Press, 228 p.). Businesspeople--India; Rural development--India; Agriculture--Economic aspects--India. Richard Bruce (1976). The Entrepreneurs: Strategies, Motivations, Successes, and Failures. (Bedford, UK: Libertarian Books, 199 p.). Business enterprises; Entrepreneurship. Ed. Candida G. Brush ... [et al.] (2006). Women and Entrepreneurship: Contemporary Classics. (Northampton, MA: Edward Elgar, 616 p.). Chair in Entrepreneurship and Chair, Entrepreneurship Division (Babson College). Entrepreneurship; Businesswomen. Most significant previously published material which has been influential in shaping field of women’s entrepreneurship. Mary Cantando (2006). The Woman’s Advantage: 20 Women Entrepreneurs Show You What It Takes To Grow Your Business. (Chicago, IL: Kaplan Pub., 240 p.). Founder of Womenbusinessowner.com. Women-owned business enterprises--Management; Businesswomen; Success in business. Compiled by John Mack Carter and Joan Feeney (1985). Starting at the Top: America's New Achievers: Twenty-Three Success Stories Told by Men and Women Whose Dreams of Being Boss Came True. (New York, NY: Morrow, 252 p.). Businessmen--United States--Biography; Entrepreneurship; Success in business--United States--Case studies. John Case (1992). From the Ground Up: The Resurgence of American Entrepreneurship. (New York, NY: Simon & Schuster, 256 p.). Editor (Inc. Magazine). Small business--United States; New business enterprises--United States; Entrepreneurship--United States; Organizational change--United States; Economic security--United States. Dan Ciampa, Michael Watkins (1999). Right from the Start: Taking Charge in a New Leadership Role. (Boston, MA: Harvard Business School Press, 316 p.). Management; Leadership; Executive ability. Arthur H. Cole (1959). Business Enterprise in Its Social Setting. (Cambridge, MA: Harvard University Press, 286 p.). Entrepreneurship. Orvis Collins and David G. Moore (1970). The Organization Makers; a Behavioral Study of Independent Entrepreneurs. (New York, NY: Appleton-Century-Crofts, 237 p. [orig. pub. 1964]). Entrepreneurship; Industrial management. David Dary (1986). Entrepreneurs of the Old West. (New York, NY: Knopf, 368 p.). Businesspeople--West (U.S.)--History; Entrepreneurship--History. Peter F. Drucker (1985). Innovation and Entrepreneurship: Practice and Principles. (New York, NY: Harper & Row, 277 p.). Small business--United States; New business enterprises--United States; Entrepreneurship. Sanjyot P. Dunung (2006). Straight Talk About Starting Your Own Business: Smart Advice for Entrepreneurs from Entrepreneurs. (New York, NY: McGraw-Hill, 253 p.). President of Atma Global. New business enterprises--Management; Entrepreneurship. Innovative tactics to turn initial vision into profitable, sustainable business. W. Gibb Dyer, Jr. (1992). The Entrepreneurial Experience: Confronting Career Dilemmas of the Start-Up Executive. (San Francisco, CA: Jossey-Bass Publishers, 268 p.). New business enterprises--Management; Entrepreneurship; Career development. Bruce W. Eelman (2008). Entrepreneurs in the Southern Upcountry: Commercial Culture in Spartanburg, South Carolina, 1845-1880. (Athens, GA: University of Georgia Press, 313 p.). Professor of History (Siena College). Industries --South Carolina --Spartanburg --History --19th century; Industrialization --South Carolina --Spartanburg --History --19th century; Entrepreneurship --South Carolina --Spartanburg --History --19th century. Evolution of entrepreneurial culture in 19th-century southern community outside plantation belt; antebellum Spartanburg businessmen advocated comprehensive vision for modernizing their region (still supported slavery, racial segregation); slowed legal, educational reform only when its implementation seemed likely to empower African Americans. Tom Ehrenfeld (2001). The Startup Garden: How Growing a Business Grows You. (New York, NY: McGraw-Hill, 209 p.). Entrepreneurship; New business enterprises--Management; Success in business. --- (1999). Women Entrepreneurs Only: 12 Women Entrepreneurs Tell the Stories of Their Success. (New York, NY: John Wiley, 259 p.). Ernst & Young, LLP. Self-Employed Women, Businesswomen, Success in Business. Profiles from Ernst & Young Entrepreneur Survey Conducted in September 1998. --- (2000). Net Entrepreneurs Only: 10 Entrepreneurs Tell the Stories of Their Success. (Wiley: 207 p. Businesspeople--Biography; Entrepreneurship--Biography. Teresa Esser (2002). The Venture Cafe: Secrets, Strategies, and Stories from America's High-Tech Entrepreneurs (New York, NY: Warner Books, 292 p.). High technology industries--United States--Management--Case studies; Entrepreneurship--United States--Case studies. Robert W. Fairlie and Alicia M. Robb (2008). Race and Entrepreneurial Success: Black-, Asian-, and White-Owned Businesses in the United States. (Cambridge, MA: MIT Press, 240 p.). Professor of Economics (University of California, Santa Cruz); Research Associate in Economics (University of California, Santa Cruz). Minority business enterprises --United States; African American business enterprises; Asian American business enterprises; Entrepreneurship --United States; Small business --United States; Success in business --United States. Racial disparities in business performance; why some entrepreneurs are successful, others are not; importance of human capital, financial capital, family business background in successful business ownership; high level of startup capital is most important factor contributing to success of Asian-owned businesses; lack of startup money for black businesses contributes to relative lack of success; higher education levels among Asian business owners explain much of their success relative to both white- and black-owned businesses; black entrepreneurs have fewer opportunities than white entrepreneurs to acquire valuable prebusiness work experience through working in family businesses. Burton W. Folson, Jr. (1998). Empire Builders: How Michigan Entrepreneurs Helped Make America Great. (Traverse City, MI: Rhodes & aston, 205 p.). Businessmen--United States--Biography; Michigan--History; Michigan--Biography. Riley Froh (1993). Edgar B. Davis and Sequences in Business Capitalism: From Shoes to Rubber to Oil. (New York, NY: Garland, 263 p.). Davis, Edgar B. (Edgar Byrum), b. 1873; Businessmen--United States--Biography; Entrepreneurship--United States. Joseph J. Fucini and Suzy Fucini (1985). Entrepreneurs, the Men and Women Behind Famous Brand Names and How They Made It. (Boston, MA: G.K. Hall, 297 p.). Businessmen--Biography; Entrepreneurship--Biography; Brand name products--History. --- (1987). Experience, Inc.: Men and Women Who Founded Famous Companies After the Age of 40. (New York, NY: Free Press, 244 p.). Businesspeople--Biography; Entrepreneurship--Biography. Contents: Drawing an ace -- Upping the stakes -- Riding a wave -- Plugging a gap -- Jumping the fence -- Making it happen -- Building a nest. Christopher Gergen, Gregg Vanourek (2008). Life Entrepreneurs: Ordinary People Creating Extraordinary Lives. (San Francisco, CA: Jossey-Bass, 211 p.). Founding Partner of New Mountain Ventures, Co-Founder and Chairman of SMARTHINKING; Founding Partner of New Mountain Ventures, former Senior Vice President of School Development for K12 Inc. Creative ability in business; Entrepreneurship; Work and family; Maturation (Psychology). Interviews with 55 entrepreneurs worldwide - examples, vignettes, concrete frameworks, practical strategies for revving up work, play through entrepreneurial leadership, for integrating life, work, and purpose, implications of the current entrepreneurial boom for workplaces, learning institutions, communities, families. George Gilder (1984). The Spirit of Enterprise. (New York, NY: Simon & Schuster, 274 p.). Entrepreneurship; Capitalists and financiers--United States. Andrew Godley (2001). Jewish Immigrant Entrepreneurship in New York and London, 1880-1914: Enterprise and Culture. (New York, NY: Palgrave, p.). Jewish businesspeople--New York (State)--New York--History; Jewish businesspeople--England--London--History; Immigrants--New York (State)--New York--History; Immigrants--England--London--History; Entrepreneurship--History; Corporate culture--United States--History; Corporate culture--Great Britain--History. Francis J. Greene, Kevin F. Mole and David J. Storey (2008). Three Decades of Enterprise Culture Entrepreneurship, Economic Regeneration and Public Policy. (New York, NJ: Palgrave Macmillan, 288 p.). Lecturers, Associate Dean Research and Director of Enterprise Group at the Center for Small and Medium Sized Enterprises at Warwick Business School (University of Warwick). New business enterprises--Great Britain--Longitudinal studies; New business enterprises--England--Teeside--Longitudinal studies; Entrepreneurship--Great Britain; Industrial policy--Great Britain; Great Britain--Economic conditions. How public policy, "enterprise industry" have effectively failed to generate enterprise culture in disadvantaged areas (theoretical understandings, solidly derived empirical data). Paul Grescoe (1999). The Mavericks: Lessons Learned from the West’s Winning Entrepreneurs. (Toronto, ON: McGraw-Hill Ryerson, 362 p.). Entrepreneurship--Canada, Western; Success in business--Canada, Western; Businesspeople--Canada, Western--Biography. Linda Grove (2006). A Chinese Economic Revolution: Rural Entrepreneurship in the Twentieth Century. (Lanham, MD: Rowman & Littlefield, 320 p.). Dean of the Faculty of Comparative Culture, Professor of History (Sophia University, Tokyo). Rural industries--China; Rural development--China; China--Economic conditions--20th century. Ways in which small industrial firms have accumulated capital, organized their firms, developed nationwide marketing networks, promoted brands over last century. Gerald Gunderson (1989). The Wealth Creators: An Entrepreneurial History of the United States. (New York, NY: Dutton, 278 p.). Entrepreneurship--United States--History; Wealth--United States--History; United States--Economic conditions. Ed. Gregory Guroff and Fred V. Carstensen (1983). Entrepreneurship in Imperial Russia and the Soviet Union. (Princeton, NJ: Princeton University Press, 372 p.). Industrial management--Soviet Union--History; Business enterprises--Soviet Union--History; Technological innovations--Soviet Union--History; Businesspeople--Soviet Union--History; Entrepreneurship--History. Wendy Beech Harris (2001). Against All Odds: Ten Entrepreneurs Who Followed Their Hearts and Found Success. (New York, NY: John Wiley, 237 p.). Businesspeople--Biography; Entrepreneurship--Biography; Black business enterprises. Thomas Heberer (2007). Doing Business in Rural China: Liangshan’s New Ethnic Entrepreneurs. (Seattle, WA: University of Washington Press, 268 p.). Businessmen--China--Liangshan Xian (Sichuan Sheng); Entrepreneurship--China--Liangshan Xian (Sichuan Sheng); Ethnic groups--China--Liangshan Xian (Sichuan Sheng); Liangshan Xian (Sichuan Sheng, China)--Economic conditions; Liangshan Xian (Sichuan Sheng, China)--Ethnic relations; Liangshan Xian (Sichuan Sheng, China)--Social conditions. Phenomenal growth during last two decades of Nuosu-run businesses (majority ethnic group), how ethnicity affects new market-oriented economic structure, how economics affects Nuosu culture, society; economic development has prompted Nuosu entrepreneurs to establish business, political, social relationships beyond traditional social confines of clan, fostered awareness, celebration of ethnicity. Leo B. Helzel & friends (1995). A Goal Is a Dream with a Deadline: Extraordinary Wisdom for Entrepreneurs, Managers & Other Smart People. (New York, NY: McGraw-Hill, 197 p.). Entrepreneurship--Quotations, maxims, etc. ; Industrial management--Quotations, maxims, etc. ; Business--Quotations, maxims, etc. ; Success in business--Quotations, maxims, etc. Edward D. Hess (2010). Smart Growth: Building an Enduring Business by Managing the Risks of Growth. (New York, NY: Columbia Business School Publishing, 230 p.). Professor of Business Administration and Batten Executive-in-Residence at The Darden Graduate School of Business (University of Virginia), Founder of Center for Entrepreneurship and Corporate Growth and the Values-Based Leadership Institute at Goizueta Business School (Emory University). Corporations --Growth; Small business --Growth; Business planning; Management. Research-based growth model, called "Smart Growth", accounts for complexity of growth from perspective of: organization, process, change, leadership, cognition, risk management, employee engagement, human dynamics; authentic growth - process characterized by complex change, entrepreneurial action, experimental learning, management of risk; case studies (Best Buy, Sysco, UPS, Costco, Starbucks, McDonalds, Coca Cola, Room & Board, Home Depot, Tiffany & Company, P& G, Jet Blue); blueprint for an enduring business that strives to be better, rather than simply bigger. Johannes Hirschmeier (1964). The Origins of Entrepreneurship in Meiji Japan. (Cambridge, MA: Harvard University Press, 354 p.). Industries -- Japan -- History; Businessmen -- Japan. Katrina Honeyman (1983). Origins of Enterprise: Business Leadership in the Industrial Revolution. (Manchester, UK: Manchester University Press, 204 p.). Businesspeople--Great Britain--History; Industrial revolution--Great Britain; Entrepreneurship--History; Social mobility--Great Britain--History. Bessie House-Soremekun (2002). Confronting the Odds: African American Entrepreneurship in Cleveland, Ohio. ( Kent, OH: Kent State University Press, 202 p.). African American business enterprises--Ohio--Cleveland--History; African American businesspeople--Ohio--Cleveland--History; African Americans--Ohio--Cleveland--Economic conditions; Entrepreneurship--Ohio--Cleveland--History. Robert Howard (2009). Connecting the Dots: My Life and Inventions, From X-Rays to Death Rays. (New York, NY, Welcome Rain, 291 p.). Howard, Robert; Businessmen -- United States -- Biography. Started Wang Labs with An Wang, cable tv business with Milt Shapp, invented dot matrix and laser printers; partnered with Howard Hughes, Rupert Murdoch, others; inventions used in many ways every day, employ hundreds of thousands of people. Jonathan Hughes (1986). The Vital Few: The Entrepreneur and American Economic Progress. (New York, NY: Oxford University Press, 610 p.). Businessmen -- Biography; United States -- Biography; United States -- Economic conditions. Reed Hundt (2006). In China’s Shadow: The Crisis of American Entrepreneurship. (New Haven, CT: Yale University Press, 208 p.). Senior Adviser on Information Industries to McKinsey & Company; Former Chairman of the FCC. Entrepreneurship--United States; United States--Foreign economic relations--China; China--Foreign economic relations--United States; China--Economic policy--2000- ; United States--Economic policy--2001-. Critical challenges to American economy, way of life: 1) China’s impending economic power, 2) drift of U.S. business practices, 3) government regulations over past decade. Martin K. Hunt and Jacqueline E. Hunt (1998). History of Black Business: The Coming of America's Largest Black-Owned Businesses. (Chicago, IL: Knowledge Express Co., 270 p.). Afro-American business enterprises--History. Anthony L. Iaquinto, Stephen Spinelli Jr. (2006). Never Bet the Farm: How Entrepreneurs Take Risks, Make Decisions--and How You Can, Too. (San Francisco, CA: Jossey-Bass, 224 p.). Former Professor (Nanzan University); Vice Provost for Entrepreneurship and Global Management (Babson College). New business enterprises; Entrepreneurship; Small business--Management; Business planning. 15 key principles for every smart start-up. Reg Jennings, Charles Cox, and Cary L. Cooper (1994). Business Elites: The Psychology of Entrepreneurs and Intrapreneurs. (New York, NY: Routledge, 159 p.). Businessmen -- United States -- Biography; Businessmen -- Psychology; Entrepreneurship -- Psychological aspects; Leadership -- Psychological aspects. Luke Johnson (2007). The Maverick: Dispatches from an Unrepentant Capitalist. (Hampshire, UK: Harriman House, 257 p.). Chairman of Channel 4, Columnist for the Sunday Telegraph. Johnson, Luke; entrepreneurship--Biography. 84 of Luke Johnson's articles from Sunday Telegraph column. 1993 - took control of PizzaExpress (sold in 1999); 1996 - started Integrated Dental Holdings with partners (sold in 2006 for over £100 million); 1999 - started Signature Restaurants/ 2005 - started Strada restaurant concept (sold both in 2005 for more than £90 million). Bob. Johnstone (1999). We Were Burning: Japanese Entrepreneurs & the Forging of the Electronic Age. (New York, NY: Basic Books, 422 p.). Electronic industries--Japan--History; Electronic industries--Technological innovations--Japan--History. John Kao (1991). The Entrepreneur. (Englewood Cliffs, NJ: Prentice Hall, 207 p.). Industrial management--United States--Case studies; Entrepreneurship--United States--Case studies; Businesspeople--United States. Alison C. Kay (2009). The Foundations of Female Entrepreneurship: Enterprise, Home, and Household in London, c. 1800-1870. (New York, NY, Routledge, 186 p.). Lecturer in Nineteenth-Century British History (University of Lancaster, UK). Women-owned business enterprises --England --London --History --19th century; Businesswomen --England --London --History --19th century; Self-employed women --England --London --History --19th century; Women-owned business enterprises --England --London --History --19th century; Entrepreneurship --England --London --History --19th century; Work and family --Great Britain --History --19th century. Relationship between home, household headship, enterprise in early to mid-Victorian London; notions of duty, honor, suitability in how women’s ventures are represented by themselves and others; motivations of Victorian women who opted to pursue enterprises of their own; similarities, differences with small to medium sized ventures of male business proprietors; comparison of interpretation of historical female entrepreneurship by contemporaries, historians in UK, Europe, America; women in business have often hidden by men, often hidden by ‘home’, conceptualization of separate spheres of public, private agency and of ‘the’ entrepreneur; multi-dimensional picture of Victorian female proprietor - active business did not exclude women. Patrick Kelly with John Case (1998). Faster Company: Building the World's Nuttiest, Turn-on-a-Dime, Home-Grown, Billion Dollar Business. (New York, NY: Wiley, 238 p.). New business enterprises--United States; Small business--United States; Success in business--United States. Morris Kersey (2001). Victoria: Where Dreams Come True: 88 Year Autobiography of the Life and Times of Morris Kersey. (Victoria, BC: Trafford, 150 p.). Kersey, Morris, 1913- ; Businessmen--British Columbia--Victoria--Biography; Victoria (B.C.)--Biography. Henry P. Keuls (1981). Uncle Henry: The Autobiography of an Irrepressible Entrepreneur. (Canaan, NH: Phoenix Pub., 164 p.). Keuls, Henry P. C., 1891- ; Businesspeople--United States--Biography. Tarun Khanna (2008). Billions of Entrepreneurs: How China and India Are Reshaping Their Futures--and Yours. (Boston, MA: Harvard Business School Press, 353 p.). Jorge Paulo Lemann Professor at the Harvard Business School. China--Commerce; India--Commerce; China--Economic policy; India--Economic policy; China--Foreign economic relations; India--Foreign economic relations. How Chinese, Indian entrepreneurs are creating change through new business models, bringing hope to countless people across globe; each nation's treatment of multinationals, Chinese and Indian managerial talent, state vs. grassroots approaches to business and entrepreneurship. Israel M. Kirzner (1973). Competition and Entrepreneurship. (Chicago, IL: University of Chicago Press, 246 p.). Prices; Competition; Entrepreneurship. Henry C. Klassen (2001). Luther H. Holton: A Founding Canadian Entrepreneur. (Calgary, AB: University of Calgary Press, 297 p.). Holton, Luther Hamilton, 1817-1880; Businessmen -- Québec (Province) -- Montréal -- Biography; Politicians -- Québec (Province) -- Montréal -- Biography; Canada -- Politics and government -- 1841-1867; Canada -- Politics and government -- 1867-1896. Emerson Klees (1995). Entrepreneurs in History-- Success vs. Failure: Entrepreneurial Role Models. (Rochester, NY: Cameo Press, 319 p.). Businesspeople--United States--Biography; Industrialists--United States--Biography. Maury Klein (2003). The Change Makers: From Carnegie to Gates: How the Great Entrepreneurs Transformed Ideas into Industries. (New York, NY: Times Books, 318 p.). Carnegie, Andrew, 1835-1919; Gates, Bill, 1955- ; Entrepreneurship--United States; New business enterprises--United States; Creative ability in business--United States; Businesspeople--United States--Biography; Industrialists--United States--Biography. Nancy F. Koehn (2001). Brand New: How Entrepreneurs Earned Consumers' Trust from Wedgwood to Dell. (Boston, MA: Harvard Business School Press, 469 p.). James E. Robison Professor of Business Administration (Harvard Business School). Entrepreneurship; Businesspeople. Focus on demand; understanding customers, meeting their needs effectively and meaningfully; contemporary business behavior through six of world's great brand developers; ability to discern how economic, social change would affect consumer needs and wants. Joel Kurtzman, with Glenn Rifkin. (2005). Startups That Work: Uncovering the Surprising Differences Between Winners and Losers. (New York, NY: Portfolio, 288 p.). Global Lead Partner for Thought Leadership and Innovation at PricewaterhouseCoopers (former editor of the Harvard Business Review). New business enterprises--Management. How investors, entrepreneurs can improve startup's chance of success. Donald Lambro (1986). Land of Opportunity: The Entrepreneurial Spirit in America. (Boston, MA: Little, Brown, 176 p.). Economic forecasting--United States; Entrepreneurship; Supply-side economics--United States; United States--Economic conditions--1981-; United States--Economic policy--1981-1993. Eds. David S. Landes, Joel Mokyr, and William J. Baumol (2010). The Invention of Enterprise: Entrepreneurship from Ancient Mesopotamia to Modern Times. (Princeton, NJ Princeton University Press, 608 p.). Coolidge Professor of History and Professor Emeritus of Economics (Harvard University); Robert Strotz Professor of Arts and Sciences and Professor of Economics and History (Northwestern University); Harold Price Professor of Entrepreneurship at Stern School of Business (New York University).Entrepreneurship --History. Modern world shifted to productive entrepreneurship, created wealth; contemporary entrepreneurship as means of contributing to welfare of society; entrepreneur's role in society, from antiquity to present; why entrepreneurial activities are not always productive, may sabotage prosperity; institutions, restrictions that have enabled, impeded innovation; incentives for adoption, dissemination of inventions; wide variations in global entrepreneurial activity during different historical periods; similarities in development, entrepreneurship's role in economic growth. Josh Lerner (2009). Boulevard of Broken Dreams: Why Public Efforts To Boost Entrepreneurship and Venture Capital Have Failed and What To Do About It. (Princeton, NJ, Princeton University Press, 248 p.). Jacob H. Schiff Professor of Investment Banking at Harvard Business School. Entrepreneurship --Government policy; Venture capital --Government policy; Industrial policy. Ways governments have supported entrepreneurs, venture capitalists across decades, continents; when governmental sponsorship has succeeded in boosting growth, when it has fallen terribly short? Should the government be involved in such undertakings at all? Ron Lieber (1998). Upstart Start-Ups! : How 34 Young Entrepreneurs Overcame Youth, Inexperience, and Lack of Money to Create Thriving Businesses. (New York, NY: Broadway Books, 232 p.). New business enterprises; New business enterprises--Case studies; Entrepreneurship. Ivan Light and Edna Bonacich (1988). Immigrant Entrepreneurs: Koreans in Los Angeles, 1965-1982. (Berkeley, CA: University of California Press, 495 p.). Professor of Sociology (UCLA), Professor of Sociology (University of California, Riverside), respectively. Korean American business enterprises--California--Los Angeles; Korean Americans--California--Los Angeles; Koreans--California--Los Angeles. Xiuwu R. Liu (2001). Jumping into the Sea: From Academics to Entrepreneurs in South China. (Lanham, MD: Rowman & Littlefield Publishers, 197 p.). Assistant Professor of Interdisciplinary Studies (Miami University). Security systems industry--China--Case studies; New business enterprises--China--Case studies; Capitalism--China--Case studies; Research, Industrial--China--Case studies; Entrepreneurship--China--Case studies. Ed. Harold C. Livesay (1995). Entrepreneurship and the Growth of Firms. (Brookfield, VT: E. Elgar, 2 Vols.). Entrepreneurship; Business enterprises; Industrial management. Jessica Livingston (2007). Founders at Work: Stories of Startups’ Early Days. (Berkeley, CA: Apress, 500 p.). Founding Partner at Y Combinator. New business enterprises--United States--Case studies; Electronic industries--United States--Case studies. Interviews with founders of famous technology companies - what happened in very earliest days: What was it like? How to build a company? How did they convince investors? What went wrong? Edwin A. Locke (2000). The Prime Movers: Traits of the Great Wealth Creators. (New York, NY: AMACOM, 228 p.). Entrepreneurship--Psychological aspects; Success in business--Psychological aspects. William MacPhee (1987). Rare Breed: The Entrepreneur, an American Culture. (Chicago, IL: Probus Pub. Co., 227 p.). Entrepreneurship--Biography; =Businessmen--United States--Biography; Businesswomen--United States--Biography. Michael S. Malone (2001). Betting It All: The Entrepreneurs. (New York, NY: Wiley. Businesspeople--United States--Biography; Businesspeople--United States--Interviews; Computer industry--United States--Biography; Computer software industry--United States--Biography; Microelectronics industry--United States--Biography; Entrepreneurship--United States--Case studies; Microelectronics industry--California--Santa Clara County--History; Risk; Santa Clara County (Calif.)--Biography. John Frederick Martin (1991). Profits in the Wilderness: Entrepreneurship and the Founding of New England Towns in the Seventeenth Century. (Chapel Hill, NC: Published for the Institute of Early American History and Culture, Williamsburg, Virginia, by the University of North Carolina Press, 363 p.). Capitalism --New England --History --17th century; Entrepreneurship --New England --History --17th century; Cities and towns --New England --History --17th century; New England --Economic conditions; New England --Politics and government --To 1775. How several different, competing ethics coexisted within single, complex, vibrant New England culture. Colonists sought profits in town-founding, town founders used business corporations to organize into landholding bodies (multiple, absentee landholding common); many town residents excluded from owning common lands, from voting; end of 17th century - town institutions emerged as fully public entities as proprietors separated from towns; strains within Puritanism, rest of colonists' culture discouraged, encouraged land commerce, supported and undermined communalism, hindered and hastened development of wilderness. Jana Matthews, Jeff Dennis, with Peter Economy (2003). Lessons from the Edge: Survival Skills for Starting and Growing a Company. (New York, NY: Oxford University Press, 268 p.). Matthews- Former Senior Staff Member (Arthur D. Little, Inc.) and Assistant Provost of the Massachusetts State College System. New business enterprises; Entrepreneurship; Management. James Dabney McCabe (1970). Great Fortunes, and How They Were Made; or, The Struggles and Triumphs of Our Self-Made Men. (New York, NY: Ayer Co Pub., 633 p. [orig. pub. 1870]). United States--Biography. Bruce McComish (2002). Antilogic: Why Businesses Fail While Individuals Succeed. (New York, NY: Wiley, 224 p.). Chairman and Chief Executive Officer of Burdett Buckeridge and Young; Former Chief Financial Officer of National Australia Bank. Small business--United States--Management; Success in business--United States; New business enterprises--United States. William Miller (1952). Men in Business; Essays in the History of Entrepreneurship. (Cambridge, MA: Harvard University Press, 350 p.). Capitalists and financiers--United States; Entrepreneurship. "A publication of the Research Center in Entrepreneurial History, Harvard University." Wes Moss (2005). Starting from Scratch: Secrets from 21 Ordinary People Who Made the Entrepreneurial Leap. (Chicago, IL: Dearborn Trade Pub., 216 p.). Businesspeople--United States--Biography; Entrepreneurship--United States--Case studies; Success in business--United States. Advice, inspiration to turn passion into viable, fulfilling business. Wahib Nasrallah (2003). United States Entrepreneurs and the Companies They Built: An Index to Biographies in Collected Works. (Westport, CT: Praeger, 384 p.). Senior Business & Economics Librarian at the Langsam Library (University of Cincinnati). Businesspeople--United States--Biography--Indexes; Businesswomen--United States--Biography--Indexes; Executives--United States--Biography--Indexes; Women executives--United States--Biography--Indexes; Entrepreneurship--United States--History--Indexes; Corporations--United States--History--Indexes; Business enterprises--United States--History--Indexes. Kamal Nath (2007). India's Century: The Age of Entrepreneurship in the World's Biggest Democracy. (New York, MY: McGraw-Hill, 320 p.). India's Minister of Commerce and Industry, known as "Mister India", India's ambassador to the global business community. India -- history; Entrepreneurship -- India. India's economic transformation: how policy is made, how India's people embraced entrepreneurial spirit, how India's private sector is becoming ripe to compete internationally; how foreign companies can do business with 21st century's most important new democracy. Bob Reiss and Jeffrey L. Cruikshank (2000). Low Risk, High Reward: Starting and Growing Your Business with Minimal Risk. (New York, NY: Free Press, 327 p.). Founder of 14 Small Novelty-Product Companies. New business enterprises; Entrepreneurship. Stanley R. Rich and David E. Gumpert (1985). Business Plans That Win $$$: Lessons from the MIT Enterprise Forum. (New York, NY: Harper & Row, 220 p.). New business enterprises--Finance. Edward B. Roberts (1991). Entrepreneurs in High Technology: Lessons from MIT and Beyond. (New York, NY: Oxford University Press, 385 p.). Massachusetts Institute of Technology; High technology industries--Massachusetts--Boston Metropolitan Area; Entrepreneurship--Massachusetts--Boston Metropolitan Area; New business enterprises--Massachusetts--Boston Metropolitan Area. Rob Ryan, with Phaedra Hise (2001). Entrepreneur America: Lessons from Inside Rob Ryan's High-Tech Start-Up Boot Camp. (New York, NY: HarperBusiness, 214 p.). High technology industries--United States--Management; New business enterprises--United States--Management; Entrepreneurship--United States. Scott A. Shane (2004). Academic Entrepreneurship: University Spinoffs and Wealth Creation. (Northampton, MA: Elgar, 335 P.). High technology industries--United States; University-based new business enterprises--United States; Academic-industrial collaboration--United States; Research, Industrial--United States; Technology transfer--United States; Entrepreneurship--United States. --- (2008). The Illusions of Entrepreneurship: The Costly Myths That Entrepreneurs, Investors, and Policy Makers Live By. (New Haven, CT: Yale University Press, 208 p.). A. Malachi Mixon III Professor of Entrepreneurial Studies, Weatherhead School of Management (Case Western Reserve University). Entrepreneurship; New business enterprises; Success in business. Reality of entrepreneurship is decidedly different from myths that surround it - who becomes an entrepreneur, why, how businesses are started, which factors lead to success, which predict likely failure. --- (2010 ). Born Entrepreneurs, Born Leaders: How Your Genes Affect Your Work Life. (New York, NY, Oxford University Press, 288 p.). A. Malachi Mixon III Professor of Entrepreneurial Studies (Case Western Reserve University). Behavior genetics; Psychology, Industrial. Influence of genetics in business world; DNA accounts for one third of difference between you and co-workers in many aspects of work life, from job satisfaction to income level; why genes matter, how understanding of relationship of DNA to behavior is of vital importance to employers, employees, policy makers; basic function of genes and their effects on organizational behavior; how genes influence numerous aspects of professional lives (from jobs to effective decisions, managing people); role that genetics plays in creativity, innovation; how genes affect tendency to start companies; how to leverage innate skills and personality; how to succeed by acting in ways contrary to your "nature." Margaret Sherrard Sherraden, Cynthia K. Sanders, and Michael Sherraden (2004). Kitchen Capitalism: Microenterprise in Low-Income Households. (Albany, NY: State University of New York Press, 276 p.). Self-employed--United States; Poor--Employment--United States; Entrepreneurship--United States; Small business--United States. Eds. Eytan Sheshinski, Robert J. Strom, and William J. Baumol (2006). Entrepreneurship, Innovation, and the Growth Mechanism of the Free-Enterprise Economies. (Princeton, NJ: Princeton University Press, 394 p.). Sir Isaac Wolfson Professor of Public Finance (Hebrew University of Jerusalem); Director of Research and Policy at the Ewing Marion Kauffman Foundation; Academic Director of the Berkley Center for Entrepreneurial Studies (New York University), Professor Emeritus and Senior Economist (Princeton University). Technological innovations--Congresses; Entrepreneurship--Congresses; Economic development--Congresses. How much credit can be given to entrepreneurship for innovation and growth of free-enterprise economies? Robert L. Shook (1980). The Entrepreneurs: Twelve Who Took Risks and Succeeded. (New York, NY: Harper & Row, 181 p.). Businesspeople--United States--Biography; Businesswomen--United States--Biography; Entrepreneurship. A. David Silver (1983). The Entrepreneurial Life: How To Go for It and Get It. (New York, NY: Wiley, 244 p.). Small business--Management; Entrepreneurship. --- (1985). Entrepreneurial Megabucks: The 100 Greatest Entrepreneurs of the Last 25 Years and How They Did It. (New York, NY: Wiley, 467 p.). Businessmen--United States--Biography; Entrepreneurship--Biography; New business enterprises--United States--Management. --- (1994). Enterprising Women: Lessons from 100 of the Greatest Entrepreneurs of Our Day. (New York, NY: American Management Association, 318 p.). Businesswomen--United States; Women-owned business enterprises--United States; Entrepreneurship--United States; Women executives--United States. Includes profiles of Mary Kay Ash of Mary Kay Cosmetics, Inc., Debbi Fields of Mrs. Fields Cookies, Inc., and Anita Roddick of The Body Shop, Ltd.
Stuart Skorman, with Catherine Guthrie (2007). Confessions of a Serial Entrepreneur: Why I Can’t Stop Starting Over. (San Francisco, CA: Jossey-Bass, 224 p.). Founder, Reel.com (1997), HungryMinds.com, Elephant Pharmacy, Empire Video; Journalist. Skorman, Stuart; Businesspeople--United States--Biography; New business enterprises--United States. What it means to be passionate entrepreneur 1) large ego is necessary; 2) strong emotions push you into the fray, carry you through to the end; 3) starting a business is often an act of desperation. Ray Smilor (2001). Daring Visionaries: How Entrepreneurs Build Companies, Inspire Allegiance, and Create Wealth. (Holbrook, MA: Adams Media, 253 p.). Entrepreneurship; Success in business; Entrepreneurship--Case studies; Success in business--Case studies. Cheryl A. Smith; Foreword by Laurent Parks Daloz (2005). Market Women: Black Women Entrepreneurs--Past, Present, and Future. (Westport, CT: Praeger Publishers, 296 p.). Associate Professor in the Adult Baccalaureate College (Lesley University). African American women executives; African American businesspeople; Businesswomen--United States. Geoffrey N. Smith, Paul B. Brown (1986). Sweat Equity: What It Really Takes To Build America's Best Small Companies--by the Guys Who Did It. (New York, NY: Simon & Schuster, 254 p.). New business enterprises--United States--Case studies; Success in business--United States--Case studies; Entrepreneurship--Case studies. Irene Smith (1982). Diary of a Small Business. (New York, NY: Scribner, 178 p.). New business enterprises; Small business. Robert Sobel (1974). The Entrepreneurs: Explorations within the American Business Tradition. (New York, NY: Weybright & Talley, 413 p.). Academic (Hofstra University). Businesspeople--United States--Biography; Entrepreneurship--Biography. Robert Sobel with David B. Sicilia (1986). The Entrepreneurs: An American Adventure. (Boston, MA: Houghton Mifflin, 278 p.). Academic (Hofstra University). Industries--United States--History; Technological innovations--United States--History; Inventions--United States--History; Entrepreneurship--History. Wayne H. Stewart, Jr. (1996). Psychological Correlates of Entrepreneurship. (New York, NY: Garland Pub., 172 p.). Associate Professor of Management Clemson University School of Business. Entrepreneurship--Psychological aspects--Research; Small business--Psychological aspects--Research; Success in business--Psychological aspects--Research. Common traits among serial entrepreneurs, defined as those who had owned, operated three or more business (12% of 664 entrepreneurs in study qualified) - higher propensity for risk, innovation, achievement; less scared of failure; more able to recover from failure. Donald N. Sull with Yong Wang (2005). Made in China: What Western Managers Can Learn from Trailblazing Chinese Entrepreneurs. (Boston, MA: Harvard Business School Press, 231 p.). Associate Professor of Management Practice (London Business School, formerly Assistant Professor of Business Administration - Harvard Business School). Entrepreneurship--China; Business enterprises--China; International business enterprises--China; China--Economic conditions--2000-. Ed. Richard Swedberg (2000). Entrepreneurship: The Social Science View. (New York, NY: Oxford University Press, 403 p.). Entrepreneurship. Norio Tamaki (2001). Yukichi Fukuzawa, 1835-1901: The Spirit of Enterprise in Modern Japan. (New York, NY: Palgrave, 252 p.). Professor of Japan's Economic, Social and Banking History (Keio University). Fukuzawa, Yukichi, 1835-1901; Bankers--Japan--Biography; Businessmen--Japan--Biography. --- (1999). New Venture Creation: Entrepreneurship for the 21st Century. (Boston, MA: Irwin/McGraw-Hill, 5th ed. ; 612 p.). Entrepreneurship, New Business Enterprises. Denise Tsang (2006). The Entrepreneurial Culture: Network Advantage within Chinese and Irish Software Firms. (Northampton, MA: Edward Elgar, 195 p.). Lecturer, Department of Management (The University of Reading Business School, UK). Computer software industry--China; Computer software industry--Ireland; Entrepreneurship; Business networks; Social networks--Economic aspects. Chinese ‘social’ network, Irish ‘personal’ network in relation to strategies utilized by successful public and private firms emerging in past two decades. Barbara Tucker, Kenneth H. Tucker, Jr. (2008). Industrializing Antebellum America: The Rise of Manufacturing Entrepreneurs in the Early Republic. (New York, NY: Palgrave Macmillan, 272 p.). Professor of History and Director of the Center for Connecticut Studies (Eastern Connecticut State University); Professor of Sociology (Mount Holyoke College). Businesspeople --United States --Biography; Industrialists --United States --Biography; Entrepreneurship --United States --History --19th century. Rise of manufacturing through beliefs, practices of Samuel Colt, John Fox Slater, Horatio Nelson Slater, Amos Adams Lawrence, their families - dominated firearms, textile industries, influence beyond respective enterprises. Roger Waldinger, Howard Aldrich, Robin Ward with the collaboration of Jochen Blaschke ... [et al.] (1990). Ethnic Entrepreneurs: Immigrant Business in Industrial Societies. (Newbury Park, CA: Sage Publications, 226 p.). Minority business enterprises--United States; Minority business enterprises--Europe. Challenge to conventional `wisdom' that immigrants do well in business because their culture makes them entrepreneurial; how development of particular ethnic minority business is always product of unique, historical circumstances. Murray Weidenbaum, Samuel Hughes (1996). The Bamboo Network: How Expatriate Chinese Entrepreneurs Are Creating a New Economic Superpower in Asia. (New York, NY: Martin Kessler Books, 264 p.). Investments, Foreign--China; Entrepreneurship--East Asia; Chinese--East Asia; China--Economic conditions--1976-2000. Eds. James L. West and Iurii A. Petrov (1998). Merchant Moscow: Images of Russia’s Vanished Bourgeoisie. (Princeton, NJ: Princeton University Press, 189 p.). History (University of Tulsa); Research Fellow, Institute of Russian History, Moscow. Businesspeople--Russia (Federation)--Moscow--Portraits; Businesspeople--Russia (Federation)--Moscow--History--19th century; Moscow (Russia)--Social conditions; Moscow (Russia)--Commerce--History--19th century. History of Russian entrepreneurship; human face on early Russian capitalism. Roger Whitman; edited by Scott Eberle and David A. Gerber (1996). The Rise and Fall of a Frontier Entrepreneur: Benjamin Rathbun, "Master Builder and Architect". (Syracuse, NY: Syracuse University Press and Buffalo and Erie County Historical Society, 241 p.). Rathbun, Benjamin, d. 1887; Businessmen -- New York (State) -- Buffalo -- Biography; Entrepreneurship -- New York (State) -- Buffalo -- History -- 19th century; Buffalo (N.Y.) -- Biography. Colin C. Williams (2006). The Hidden Enterprise Culture: Entrepreneurship in the Underground Economy. (Northampton, MA: Edward Elgar, 263 p.). Professor of Work Organization (University of Leicester Management Centre, UK). Informal sector (Economics); Entrepreneurship; New business enterprises. Aims to encourage underground enterprises and entrepreneurs to make transition into realm of legitimacy. Michael D. Woodard (1997). Black Entrepreneurs in America: Stories of Struggle and Success. (New Brunswick, NJ: Rutgers University Press, 254 p.). Afro-American business enterprises--Management--Case studies; Success in business--United States--Case studies. Eds. Conrad Edick Wright, Katheryn P. Viens (1997). Entrepreneurs: The Boston Business Community, 1700-1850. (Boston, MA: Massachusetts Historical Society : Distributed by Northeastern University Press, 450 p.). Businesspeople--Massachusetts--Boston--History--18th century--Congresses; Businesspeople--Massachusetts--Boston--History--19th century--Congresses; Entrepreneurship--Massachusetts--Boston--History--Congresses; Boston (Mass.) --Commerce--History--18th century--Congresses; Boston (Mass.) --Commerce--History--19th century--Congresses. Sam Wyly (2008). 1,000 Dollars and an Idea: How an Inspired American Entrepreneur Built a Billion-Dollar Fortune. (New York, NY: Newmarket Press, 256 p.). Wyly, Sam; Businessmen--United States--Biography; Entrepreneurship--United States--Biography; Billionaires--United States--Biography. Thought processes, relationships, financial machinations behind building diverse businesses over last four decades; 1963 - risked $1,000 of savings to found first "computer utility" company in business world; 1965 - took University Computing Company public, became instant millionaire; waged successful anti-monopoly battle against AT&T (built "telephone highway" for computers); grew modest Bonanza Steak House chain ("inherited" as the result of bad debt) to 600 outlets, sold it for huge profit; created new systems software company, Sterling Software (sold for $4 billion); 2000 - sold Sterling Commerce to AT&T for $4 billion; expanded small arts-and-crafts chain Michaels Stores from 10 to 1,000 stores (sold for $6 billion in 2006); founded Green Mountain Energy (largest, most profitable green business in country). Madeleine Zelin (2005). The Merchants of Zigong: Industrial Entrepreneurship in Early Modern China. (New York, NY: Columbia University Press, 406 p.). Professor of History and East Asian Languages and Cultures, Former Director of the Weatherhead East Asian Institute (Columbia University). Zigong (China)--Commerce. Comprehensive study of the growth of a major Chinese industry and resituates the history of Chinese business within the larger story of worldwide industrial development. Video (VHS) (1997). Great Minds of Business - Entrepreneurship. (New York, NY: Unapix). (govWorks.com), Directed by Chris Hegedus and Jehane Noujaim (2001). Startup.com (DVD -107 min. ); Startup.com (VHS -107 min.). Traces the birth and failure of new media company govWorks.com (from May of 1999 to December of 2000), a Web site for people to conduct business with municipal governments. (Kozmo.com), Directed by Wonsuk Chin (2001). e-Dreams (DVD - 94 min.). Documentary about the feeding frenzy of success and failure that nearly consumed the nation's economy. Focus on now defunct Kozmo.com - began in an unfurnished warehouse, grew from 10 employees to 3,000, extended to 11 cities, raised more than $250 million, attracted attention of Starbucks and Amazon.com. Following the April 2000 stock market crash, company was unprofitable, struggled to keep its operations going - without success. Arthur M. Blank Center for Entrepreneurship (Babson College) http://www3.babson.edu/ESHIP/. Mission: to enhance the growth of entrepreneurship worldwide through the creation and development of ACADEMIC (teaching/curriculum), RESEARCH, and OUTREACH initiatives that encourage and support entrepreneurs and the spirit of entrepreneurship. UK's only independent national awards to celebrate, recognize and reward African Caribbean and African British entrepreneurs and corporate leaders. Founded in 1982, The Committee of 200 (C200) is the professional organization of preeminent women entrepreneurs and corporate leaders. The organization capitalizes on the power, success and influence of businesswomen in the global economy. Created by the Edward Lowe Foundation, Entrepreneurial Edge provides small businesses with educational information. Consisting of a searchable compilation of over 3,000 annotated and indexed Websites, articles, and newsletters as well as an online bookstore, Entrepreneurial Edge also includes forums, surveys, and a toolbox of interactive resources. The database is searchable by subject topics. For two decades Ernst & Young and the Entrepreneur Of The Year awards have honored entrepreneurial men and women and the companies they build and grow. From the first program in Milwaukee, Wis., in 1986 to 26 regions in the United States and 35 countries throughout the world, we have recognized the vital contributions of entrepreneurs — the leaders and creators who build and sustain world-class businesses that are a testament to vision, leadership, achievement, and social responsibility. We have chronicled their capacity to transform entire organizations, create new products and industries, enrich individual lives, and contribute to the vibrancy of national economies. Weekly radio show on National Public Radio about the entrepreneurial life: leading pioneers from the business world, the social sector, entertainment, and the arts. From Scratch personalizes the lives of these entrepreneurs by providing listeners with a candid, first-hand view of their launching process. Guests speak about their sources of inspiration, set backs, financial hurdles, partnership dynamics, feelings of self doubt, helpful allies, and break though moments. Featuring leaders in all stages of the building process, From Scratch informs those who are either initiating entrepreneurial lives of their own or simply feeling curious about those who make new ideas happen. Harvard Business School presents "a video archive that captures insights from leading members of the HBS entrepreneurial community. Entrepreneurs speak on a common set of themes including their development as entrepreneurs, strategies for identifying opportunity and leadership." Junior Achievement is an organization "dedicated to educating students about workforce readiness, entrepreneurship and financial literacy through experiential, hands-on programs." The Junior Achievement Student Center website focuses on "money management", "work readiness", and "business ownership". Visitors can play online "Games", such as "JA Titan", "JA Banks in Action", "JA Money Might", and JA Count on It". "JA Titan" promotes the visitor to CEO of a business, and tests the skills needed to defeat competitors; "JA Money Might" tests financial skills in an online simulation of real life situations. The "Learn" tab teaches visitors about "Money", "Work", "Business", and "The Economy". There is also an "Ethics" section in the "Learn" tab, and it includes 40 downloadable classroom activities, a case study, and an essay contest. Syndicated weekly radio program where business leaders talk about their road to success! Inspired by the stories host John Resnick learned from his clients at Resnick Associates, a nationally recognized estate planning and business succession firm based in Harrisburg, PA. January 12, 2002 - debuted on single radio station in Harrisburg, PA, now broadcast on over 80 stations across America. Created by Jeff and Rich Sloan, provides entrepreneurial advice via a nationally-syndicated radio program and through online content for entrepreneurs who want to start a business. Homepage includes links to sections dedicated to areas of interest to the prospective entrepreneur, including those that deal with customer service and creating strategic marketing plans. Founded in September 2000 to enhance the entrepreneurial opportunities by leveraging USF's proximity to Silicon Valley and our business school curriculum and resources. Home of the Business Plan Competition (founded in 2000) - in 2003 attracted 80 applications from 55 universities in 9 countries, comprising 26 teams competed for recognition, prize money and chance to pursue their dreams of launching their businesses by attracting necessary funding from panel of venture capital judges. Next Competition: April 1-3, 2004 in San Francisco, CA.